WPC is proud to support Helping Hands Food Pantry, a community outreach food pantry. Check out their Facebook page! No paperwork, no appointment, no questions, no judgement. Just free food. Helping Hands survives solely on donations. 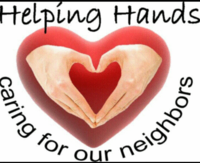 Besides monetary donations, Helping Hands will accept food items, coupons, and perishable items as well. They will gladly accept any food donation you'd like to donate. Donations are accepted now at their Main Street location.